I have the great pleasure today of welcoming back one of my favourite ever bloggers: Sophie from So Many Books, So Little Time. I absolutely adore Sophie. I think she has amazing taste in books, I really trust her judgement and I enjoy reading every single one of her posts. If you aren't already following Sophie's blog you are absolutely missing out! Without fail, news of a new Meg Rosoff book is one of the highlights of my bookish year. I’ve been a fan since I devoured her debut, How I Live Now, many years ago and she delivers something new and unique with every consecutive novel. She manages to blow my mind quite regularly. While the release of her sixth novel, Picture Me Gone, draws closer, I often find myself admiring my stack of Meg Rosoff books on my bookshelves remembering just how much I love them. I was lucky enough to meet the lady herself at an epic event at the Bath Children’s Literature Festival in 2011 where she shared a panel with David Almond and Melvin Burgess; a serious amount of awesome for one room. Meg is as witty, sharp and intelligent as you would expect and a really lovely lady to boot. Then came the time to get my books signed and she’d heard of my blog. I nearly collapsed and cried. It was quite an experience. How I Live Now blew everyone out of the water when it was published in 2005, winning awards all over the shop. As I was relatively young and had very little knowledge of the book world all I knew was that it had a gorgeous cover and sounded excellent. Who knew I’d discover one of my favourite authors with that chance buy? How I Live Now is shocking, controversial and pretty damn heart-breaking. When Daisy is sent from America to live with the cousins she’s never met in the English countryside, war quickly breaks out. The unusual narrative style, unconventional love story and gritty portrayal of war-torn England, How I Live Now captures me again and again and again. I was devastated to discover that at the time, How I Live Now was the only book Rosoff had out so it was an agonising wait for Just in Case. I clearly remember being so surprised how quirky and different it was to How I Live Now. Justin thinks that fate has it in for him so he changes his name, friends and identity and falls in love with Agnes Grey. Him and his imaginary dog Boy try to survive Justin’s new world where there seems to be a tragedy waiting around corner. I am a century old, an impossible age, and my brain has no anchor in the present. Instead it drifts, nearly always to the same shore. Today, as most days, it is 1962. The year I discovered love. *Rosoff, Meg. How I Live Now, London: Penguin, 2008, p1. This book is lyrical, beautiful and captivating and even thinking about it has made me want to re-read it... Set on the East Anglian coast in a 1960s boarding school, What I Was is immediately unexpected. That sense of the unexpected only continues as a dilapidated house on the edge of the beach comes into view and Finn appears. Stunningly beautiful, this one. In 2009 Meg Rosoff released the only one of her books that I haven’t enjoyed, The Bride’s Farewell. For me there wasn’t enough of what sets Meg Rosoff apart from other writers in this novel. And I don’t really like horses which play a big part in Pell’s story. It’s the 1850s when Pell runs away on the morning of her impending marriage to her childhood sweetheart. She fears of becoming like her mother, struggling as a poor family with an unending number of children to feed and sets off for the horse trading at Salisbury Fields. Here she finds an unexpected strength of feeling for what she’s left behind and love she wasn’t looking for. Even though I didn’t enjoy The Bride’s Farewell it didn't stop me from feeling the need to read every single thing Meg Rosoff ever writes so once again I began the wait for her next book. A couple of years ago, There Is No Dog hit the shelves with a thump of controversy, outrage and another stunning exploration of human nature. It’s also really quite funny. God is a fifteen-year-old boy called Bob. He created lots of things in the first six days, but now he mostly eats, sleeps and makes a mess. Every time he falls in love (which is quite frequently), Earth is plagued by natural disasters and he generally just neglects his creation. But when Bob meets Lucy, well, Earth isn’t going to fair very well... My favourite thing about There Is No Dog is just how much sense it made! It’s an ingenious idea. So there you have it, why Meg Rosoff’s books will forever have a place on my bookshelf even if I don’t necessarily like every single one of them. She’s pretty much a writerly hero, if I’m honest. Thank you, Sophie! 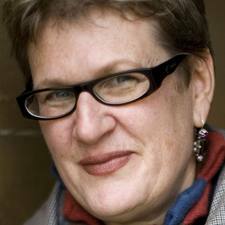 Have you read Meg Rosoff's books? 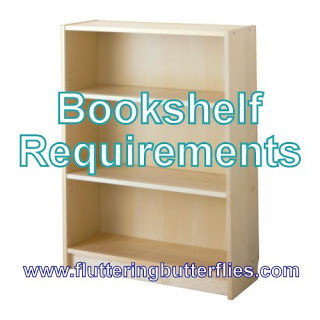 Which books would you choose to be a Bookshelf Requirement? I have yet to read anything by Meg Rosoff, much to Sophie's dismay, but I do have There Is No Dog on my TBR so there's still hope! I LOVE Meg Rosoff sooo much. I've actually been rereading all her books this last week, which has somehow only made me want to read them all AGAIN.